Tony Gebely works in IT- thats how I met him. He also has been working with small tea farmers in China, Japan, India, Nepal, and New Zealand to secure the best hand-crafted teas possible at fair prices for the Chicago Tea Garden. He's great guy (yes, I know him) and love the tea (I have ordered from his company while in Chicago. Tea is awesome, so is the story that comes with it). He has been sucessfull (click here for reviews/press coverage) , is running his business and who better to interview than someone who has been doing 2 things successfully. A project Manager in tea business! To read more about the company and know him, see his blog. You worked in IT and then you decided to start your business- why? I wanted to be on a path where I could one day be my own boss and make my own hours. Also, being in the tea industry, I’d be able to travel to tea origins, so I gave it a go. 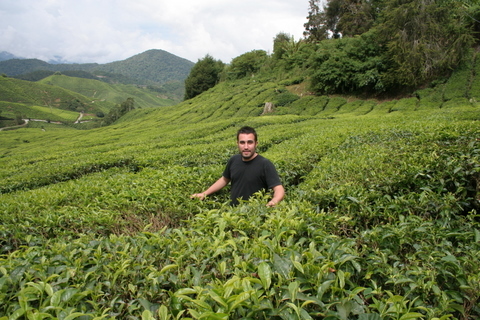 I fell in love with tea while backpacking through Asia in 2005 and again in 2008, I started Chicago Tea Garden in 2010. I found that there is a huge lack of respect for tea in American culture, and I wanted to help forge an understanding of tea and it’s roots. You are one of those very few people who still have a regular full time job and are successful in the business? How do you split and manage your time between the two? This is very difficult, I have a full time job, I’m writing a book, and I’m running the business. The weeks for me are very busy I usually have 12-14 hour working days from Monday – Friday, every now and then I’ll spend a weekend day working or holding a tea tasting, but for the most part I relax on the weekends. Has your experience in IT or project management really helped you in your business? Do you plan through everything? Yes, my experience in IT has helped tons, it’s a web-based business so I treated the entire build-out like a project and still do. I’m working on version 2 of the website right now. Early on, I realized that since I’m a one-man team, every single thing I do has to be well planned out and be 100% effective if I’m going to compete with tea companies that have entire teams of people working for them. 3 things you wished you knew when you started your business. 1.There is no such thing as free time unless your mind is also clear during your free time. 2.How long it takes to become profitable. 3.All about the mess that is business tax law. Ugh. How is running a business different from running a project? It isn’t really. A business is just a collection of small projects. When one is done, another starts, and there can be many going on at once. I use Asana (used to use basecamp) just to keep track of all fronts of the business. 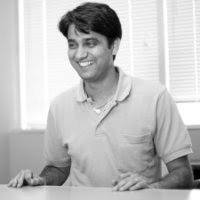 Dhaval Panchal is a certified SCRUM coach and trainer based in Seattle. With a background in software development, business analysis, lean office implementations, system architecture, and project management – he has moved on to become a successful coach. While his background in project management still helps him out, his greatest payback as a coach is the opportunity to interact with people from diverse backgrounds and learn from them. You worked in IT and then moved to SCRUM coaching, tell us how this happened? Fresh out of college I was hired by one of the tech giants in the Indian IT space. Within the first four years working with them I was completely burned out and mostly disheartened with the antiquated management practices and “chalta hai” management approach. The morale was extremely low and many passionate intelligent peers either escaped to B-Schools or found alternative employment opportunities. I was prepared to leave the IT industry but was hopeful that there is a better way. I interviewed and got hired by my present company (8 years ago). They were pursuing scrum and extreme programming (XP) as alternatives to build software. I started scrumming and played variety of roles in the projects that were outsourced to us. In each of our outsourced projects I actively pursued and attempted to influence my client’s understanding of scrum. So in many respects I have always been coaching. To me coaching is a skill and not a title. With the explosive adoption of scrum in the IT industry, for the last 5 years, I have been involved in change management helping to transition organizations to an agile business and delivery model. My coaching skills are extremely useful in helping my clients cope with the pain that accompanies any organizational change. Do you enjoy working as a coach- 3 things you wish you knew when you started coaching. Listen more talk less -We all have two ears and one mouth. It took me a while to realize that I should be using them in the same proportion. Earlier as I would engage in a conversation when hearing the other, mentally I would be calculating a response even before the other person has finished speaking. This analytical bent was a huge handicap and as I have progressed to improve on my listening skills I now tune into the person speaking and their context to appreciate their situation. Often times people talk themselves through their problem and appreciate my patient listening that helped them through. Coach the person not the problem- IT is a problem solving field and the industry is self selecting for people who can solve problems. This has ironically led to a common pattern. “most people in our industry can tolerate a problem but cannot live with a solution that they do not understand.” This erodes trust and is detrimental to people’s ability to own and resolve their own problems. As I engage with my clients in complex IT and people change management issues I intentionally stay away from prescribing solutions and focus on the person and help them sharpen their problem solving skills. 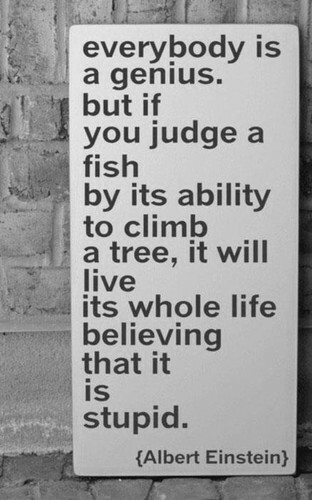 It is more about teaching a person to fish than catching a fish for them. I can always walk out- I take a lot of pride in my work and aspire to better myself. It took me a while to recognize that I do not have to be a good fit for everyone. Now I recognize situations and people better where I may not be a good fit as a consultant and choose not to engage. Tell us any incident or moment of inspiration that has kept you in coaching. Being a catalyst to help form high performing teams and great products is my passion and I have a lot of heart for enabling organizations and people to find fulfillment in their pursuit. Although there isn’t any specific moment or incident, it is an heart warming experience for me to hear appreciations from people who I had worked with many many months ago. To be remembered, recognized and appreciated for my work long after my work is done is my greatest reward. 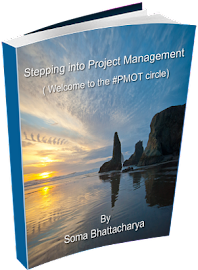 Do you use your experience in project management for your coaching now? Yes, my experience in project management is helpful for me to appreciate the context of PM folks who are interested in agile product delivery approach. A lot of traditional PM style and approach is anti-agile and requires much unlearning to break away from the command-and-control mindset that fosters a belief in magic. Getting to deal with the day to day realities of product delivery and the challenges is overwhelming and the realities of innovative rapid product delivery cycles demand a high performing team of individuals as opposed to the “hero” project manager that saves the day. Getting PM’s to abandon their heroic pursuits and collaborate as peers in a team based context is a challenge where my past background with PM comes in handy. Where can we find more information about your coaching? Are Project Manager’s Pompous and Manipulative? 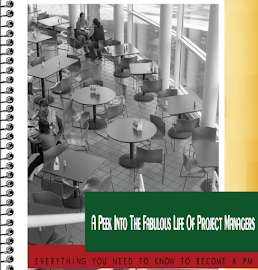 Can I Earn PDU’s for Writing Project Management Article? 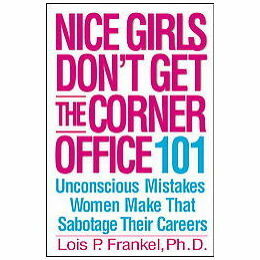 I was shopping for another book (review to come soon) when I spotted this one- Nice Girls Don’t Get The Corner Office- Lois P. Frankel, PhD; had a great review so decided to add it to the shopping cart as well. And I loved reading it (twice) and it’s a keeper. Recently I read this article on Sheryl Sandberg here and more at NY Times, so with this book and what women are achieving I think the definition of “Nice” is ever changing! You can also see this video of Sandberg talking about the balance of her career and family here. The book with 268 pages starts with defining the workplace as a game where learning to play chess can come in handy! The book formatted as 101 tips are individual chapters which make for easy read. Throughout the chapters, the author emphasizes on building relationships at work which are great way to network and use your job as a way to grow and let others know about you. Men usually are more naturally tuned to taking breaks and networking unlike women. Women take pride in being hard workers and not good networkers. She mentions that women shouldn’t take up low key assignments and agree to making coffee and taking notes; building your career is a lot more about choosing the way you present yourself at work! You need to give reasons why you should be considered for the next promotion! The book gives helpful tips and elaborates on the way women behave in similar situations and can be far away from how men do. She also suggests in most chapters, books and articles to read and refer and take away lessons in bullet point for a quick referral later. Investing in relationships is stressed over and over in the book. I read this somewhere else (not this book) and I think wrote about it in the blog as well, that keeping a budget for meeting people is also highly recommended. And it’s a known fact that influencer’s network well! Sheryl Sandberg hosts monthly meet ups at her place and has been doing it for sometime now. Most #PMOT influencers I know are great at networking, a lesson to be learnt. The book is witty and funny with a lot of real life examples like that of a woman stuck in a man’s world job, where she had to start smoking to stop being considered a woman and being accepted easily by her peers. Although she later said, she stopped smoking and with her credentials in place, she had nothing more to prove. But those initial days, smoking got her easily accepted among men. The book handles regular work life example and states on the required changes in behaviour or body language and things to be avoided. It’s always not beneficial to keep your head down at work, sometimes it’s considered lack of interest in leadership or taking more responsibility, instead they are considered good workers who are then bogged down and delegated more work. While the networkers and who take more breaks and tell about their interest in other roles are given the chance to grow. Your brand is important and this has been going on for some time now. You are what you bring to the table as an individual and not the list of companies you have worked before. Build your brand and let people know about it. Getting a professional coach is recommended in the book, if you can’t afford, find a mentor at least. If you like something people do, don’t be shy to tell them that and ask for guiding you, in most cases they reply back and help out. Especially in the age of social media, it isn’t really difficult to get access. If you are looking for people whose careers you want to emulate, ask them how they did it or look at their Linkedin profiles- it will give you something to start with. Take up volunteering opportunities, keep a watch for the next job- the day you start a new one and start talking to people. I know one of my friend; based in Chicago who is hugely successful and is constantly meeting friends and attending parties every weekend, sometimes 3 in one day. Twice a year, she makes a list of all the people she has met and been invited over to and clubs them into 3-4 groups of people who will get along well with each other and over the next 4 weekends, invites them over for dinner. I went for one and loved it very much. Over barbecue and dinner and a beautiful home and pre-planned list of guests, they all get along well and talk about new opening and job trends to more networking opportunities. You’ll be surprised how many job openings are discussed over and candidates pushed for those. Personally I think, don’t sideline yourself, I have seen women in meetings who don’t sit, like to stand in the corners and never speak in meeting even when they are given opportunities to. Somehow lack of taking initiative and displaying their presence and opinions don’t allow them to get invited to the next meeting. Dress and make up plays a vital role, you can read up on some tips here and Peter Taylor in his book The Lazy Project Manager also talks about the advantage of putting on a well cut suit to make your presence known, if not everyday at least during meetings. The book is a good read, must read if you will and definitely allows you to change positively and perhaps an avenue for a promotion or two! This month, we take a look at a new venture that has taken a leap of faith, moved countries and in spite of hardships kept their hearts in one place. Today we meet Debarati Goswami, the co-founder of Educocity and talk about her journey that has taken her from the usual employee role to an entrepreneur. 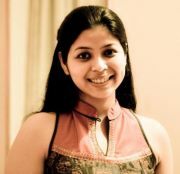 She talks about the hardships if being an entrepreneur in India, the role that project management plays in their development process and their plans for 2012! · You moved back from US to India to start your own company- tell us about it. My husband Bappaditya and I were both working with Apple Inc. as consultants for close to 3 years each, when the entrepreneurial bug bit us. After having been located in the Silicon Valley for quite some time, the ‘big’ question was whether we should start up in the US or in India. We listened to our heart and moved back to India in late 2009. We wanted to do something in the education space because the roots of a society lie in its education system. As everyone knows by now, our conventional education systems are failing us miserably both in India as well as in first world countries like UK & USA. We thought it’s about time to do something so that students start taking interest in ‘learning’ rather than mere rutting. The need for a common platform where everyone associated with any educational institution, be it students, teachers or parents can come together and create an environment for learning was becoming more and more apparent. We wanted to build a city for education (Educo is the root word for education is Latin) Thus ‘Educocity’ was born. · How well is a collaborative platform like this one being adapted in India? Or is your target audience outside India? GUIDE is a cloud based, collaborative, Learning Management Platform from Educocity.com. GUIDE stands for ‘Grow as YoU Identify Delight in Education’ and is all about making the process of learning fun and enjoyable, delightful yet more effective than the conventional methods. A conscious shift in pedagogical methods is taking place across the world. Pedagogy is changing from being prescriptive (where the teacher teaches, the students only listen) to collaborative (where teachers and students interact among themselves and absorb the knowledge) Collaboration is no more a thing of the future, rather something we do day in and day out. While various ’collaborative’ software products are available in the market today, they are mostly content based. We believe GUIDE stands apart because it is a platform that the users can use according to their needs instead of tying them up with a specific set of contents. India has been under the influence of ‘prescriptive pedagogy’ for too long. However, India is gradually opening up to the idea of collaboration within an educational institution and taboos are dissolving. Some institutions are not comfortable sharing their private data with the world. Also we have a relatively young user base, most of them being school going kids. Hence, if institutions want, they configure GUIDE as a walled-garden wherein the safety and privacy of the users are not compromised. India is at the epicentre of our focus. However, at the same time, we are also looking at other advanced markets, which are easier to penetrate without much user training. 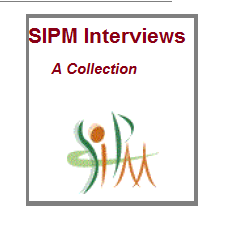 · What have been the few challenges in working in an entrepreneurial mode in India? India is still in a nascent stage when it comes to entrepreneurial ecosystem. Professionally, the biggest hurdle we faced was amassing a seed-fund. No investor is ready to invest in a concept and having at least a prototype in place is a prerequisite for raising funds. Thus, boot-strapping is the only viable option most Indian entrepreneurs are left with. This makes the process longer and more difficult and we have seen a lot of people quit their entrepreneurial journey over it. Also, in India, being an entrepreneur pushes you into a minority bracket and is still considered as an unwise choice by the middle-class society. At times it can take a toll on the family life, especially with parents and relatives. We are lucky to have a very sound support system in place. For others, it might be even tougher. However, the current scenario is improving in leaps and bounds and we are hopeful that India will catch up with its western counterparts in a few years from now. · What does 2012 hold for educocity? 2012 is going to be the most crucial year that our venture has seen till date. We have big plans lined up including an international launch. We are also looking to raise some serious funds. For our venture hopefully this will mean an entire new scale to operate in. We have also already roped in a few important customers and we will start operating at these sites as soon as these institutes open doors for new students in the 2012-2013 academic session. · In all these years trying to develop the product, how have you managed the process? Having seen how a world class company like Apple looks like from within, we have been very particular about processes and quality adherence from the very beginning. We try to keep the Product Management, Product Engineering and Service Delivery units all separate from each other since most of the time they have conflicting interests. We also follow the Agile Scrum methodology to keep our development cycles short. This essentially means an iterative, incremental framework for project management. Scrum is perfect for a lean organization like us. It reduces our process overheads drastically and hence the team is almost always able to deliver faster. It also acts as the perfect remedy against deadline slippage due to scope creeps. We are also finicky about following checklists. 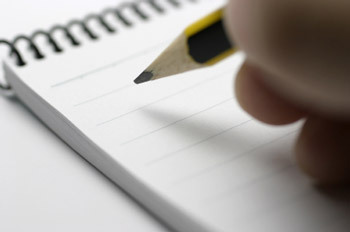 Implementation checklist, development checklist, quality adherence checklist, test plan checklist, you name it we have it. This helps us to maintain the standards without much review effort. · Tell me 3 things we should know about your product. No software installation is required to start using GUIDE. It can be accessed over a web-browser and low-bandwidth internet which makes it available anytime from anywhere without being tied to a particular machine. If you want to try, just hit educocity.com and go for a ‘Try GUIDE Demo’ option. No upfront capital investment is required from the educational institution’s end. We only charge on pay-as-you-go basis based on the total number of users. Thus, GUIDE is especially suitable for small to medium institutions who do not want to maintain in-house IT department. GUIDE is the most intuitive Learning Management system you would have seen. The user interface is simple and clutter free and you can get started from the word go. There are no steep learning curves and hours spent going through elaborate learning manuals. We believe in the beauty of simplicity.